Barclays is a big name in the finance world, with more than 325 years of history and expertise in banking. In fact, they launched the world’s first ATM and innovative mobile phone payments services. This mammoth financial service company has operations in more than 40 countries and has earned many awards and recognition over the decades. On the contrary, it has received many criticisms, too. Come to think of it. The irony is huge – a giant in the banking world feels so small in the hearts of many! So, let’s look into this further, shall we? Barclays can provide you with personal unsecured loans anywhere from £1,000 to £50,000. Barclays offer loans with a wide variety of APRs based on the amount you borrow. In other words, a customer may get a rate different from what was, depending on the qualifications and personal circumstances. If you are planning on getting a Barclays loan, you must be a Barclays customer and have a savings or current account, a Barclaycard or a mortgage from them. One of the perks of being an existing Barclays customer is that you can choose to top-up your loan or get another loan as needed. You can also pay back the loan earlier if you wish to, but there is a 30-day interest fee on the amount that you will pay back apart from the on top of the initial interest as stated in the loan agreement. You won’t be asked about how you are going to spend the money. You can make use if it for almost anything. Knowing your personal rate before applying. Most loan customers will enjoy the representative APR, but yours may vary based on your circumstances. Other loan providers will only inform you about the interest rate when you already applied for a loan. Note that if you do not like the APR offered to you, it can still affect your credit rating even if you decide not to continue with the loan application. But with Barclays, you could get a personalised loan quote. This way, you will know your exact rate before you apply. And the best part is, it won’t reflect on your credit rating. You will be able to receive your money right away. If you apply over the Internet and your loan application is approved, your money will be transferred to your current account straight away. As long as you can download, print and sign the loan agreement, your money will be in your hands in no time. Can a Price or Loan be Guaranteed? This is another feature of a Barclays loan wherein the interest rate can be reduced. This happens when another loan provider presents you a similar unsecured loan featuring a lower APR. Barclays will reduce the rate to offer you an APR similar or even lower impending offer. Barclays will recalculate your scheduled repayments so you can enjoy the discounted interest rate. You can have your claim on this under Barclay’s guarantee within 30 days of the date they have signed your Barclay loan agreement. Barclays also offers fixed monthly repayments to help you budget, and you have the option to choose your loan term depending on the loan amount. To qualify for a loan from Barclays, you’ll need to have a savings or current account from them, a mortgage or their Barclaycard. You must also have a UK residency and be at least 18 years old. You can use your loan for almost anything. You can use it for business and investments, buy stocks or shares, purchase property or timeshares, home improvements, pay off gambling debts, and county court judgments or CCJs. Before you take out any loan, it is important to check the reputation of the lender as well as their customer reviews. As for the case of Barclays, it comes as a surprise that the majority of their customers are not happy at all. Although a few are satisfied, most customers are complaining about poor service. These complaining customers claim that Barclays would send you pre-qualified offers for those with a strong credit history. When you finally want to apply because of some emergency, they will take you for a whirlwind tour asking for documents, which are not even requested by any other lenders. In the end, they will just reject your application saying that the documents you have submitted did not meet their criterion. Some complaining customers also claim that Barclays gave them ridiculous loan calculations that are impossible to take. Others also feel that their staff don’t seem to know what they are doing. This is so sad, considering that Barclays is one of the most notable consumer banks, owning a good reputation in the finance industry and possesses a wealth of banking experience. Being one of the established financial institutions in the market, you would assume that you will find impressive feedback and reviews from clients. Unfortunately, this is not the case. If you search the internet, you could read many reviews of disappointed clientele. Lack of information, unclear interest rates, as well as untrained staff are among the major complaints. We cannot blame you if you have contradicting impressions about the bank. It is a well-established financial giant, but with bad reviews. 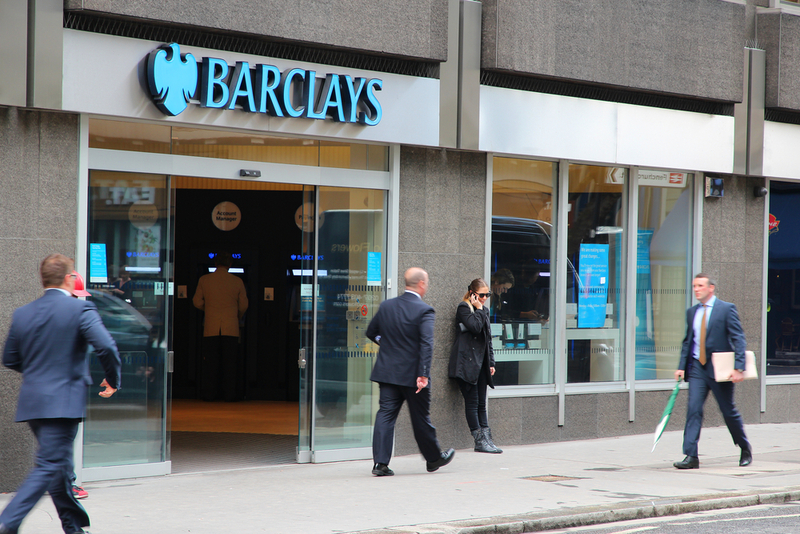 While it offers attractive loan features, there are also some pitfalls on Barclays loans. Ironically, as one of the most known institutions in the personal finance sector, they have collected a significant number of poor reviews. Barclays seems to take a proactive strategy to attract and encourage customers to apply for one of their personal loans. They will offer existing customers provisional loans and will encourage borrowers to visit their online account to check it out. If you are offered this option yourself, consider first whether it is necessary to get a loan. Barclays provides all the important features that you expect and they can give you a price guarantee if you are qualified. However, it is disappointing to know that Barclays is not delivering the best levels of customer service. So, having to hear out the benefits and drawbacks of Barclays, consider everything and weigh things accordingly. Before getting into a Barclays loan agreement, ensure that you have a clear understanding of all the agreement to avoid any problems in the long run.